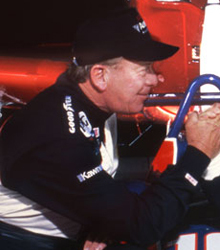 "In my Business I couldn't afford anything less than the best, Victor engines are the best in the business"
it is all a function of power"
"We use Victor Engines for our ministries aircraft and my personal aircraft as well"
"At Indy, If you have engine problems you drop out of the race, and in an aircraft if you have engine problems you drop out of the sky, I recommend Victor highly and maybe we will see him at Indy someday"
"As you know I have completed my around the world flight in my "Power By Victor" Beech Bonanza. The flight started in March by my wife and myself. We flew to England over the North Atlantic during the cold of winter. From there we flew to France, Italy, Greece, Egypt, Saudi Arabia, Thailand, Indonesia, Australia, Pago Pago, Hilo, Hawaii and back to Oakland, California. We encountered weather extremes unimaginable: excessive cold and heat, very high humidity, torrential rains and lots of dust - even at altitudes up to 9000 feet. At no time did the little engine falter. The fuel consumption was significantly below handbook figures and the oil consumption was almost nil-one qt. every 50 hours or so. Never did we see a spot of oil on the ground after shut down nor was there any sign of oil on the fuselage.
" All I can say is: "thanks to all the Victor employees who worked on my engine for a job well done." 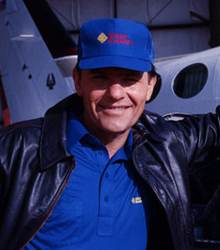 "I have had the pleasure of a number of long time Bonanza drivers flying in my plane and remarking how smooth the engine runs. This includes my A&P, Mike Brown of Mountain Aire over at Sonora. 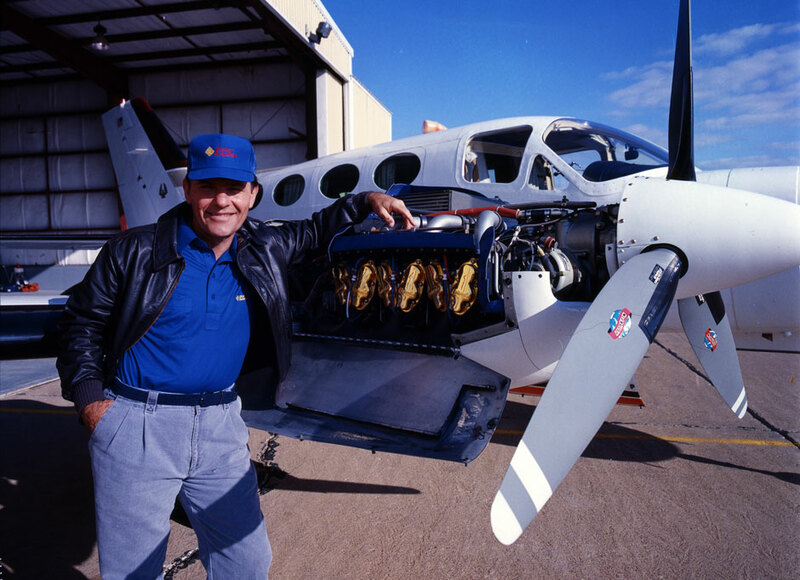 The engine indeed runs very smoothly and I've noticed the difference between my own aircraft and other Bonanza's that don't run anywhere near as well with the same engine." "Soon after overhaul, the engine's performance improved and after 800 hours, the airplane began flying about 5 knots faster! The engine is still very smooth. The oil consumption is from 1 to 2 quarts every 50 hours." 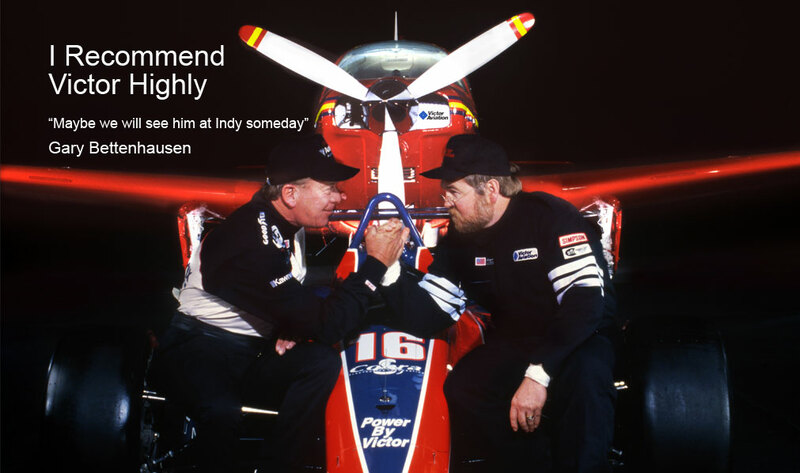 "The primary reason I chose Victor Aviation to overhaul my engine was for reliability. I fly a lot during instrument meteorological conditions, often at night, and derive a great deal of comfort from the meticulous inspection and assembly procedures at Victor Aviation. 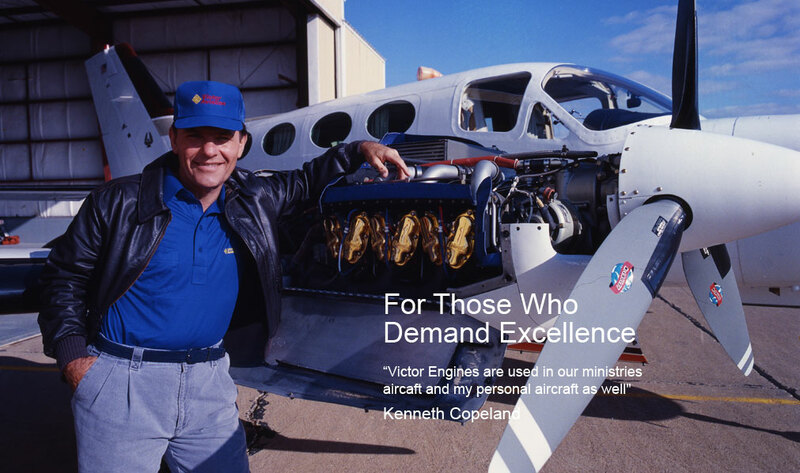 I would unequivocally recommend an aircraft engine overhaul by Victor Aviation." "Observations, incredible improvement in vibration, the engine is extraordinarily free of vibration, only a turbine powerplant would be smoother. Performance indicates that the engine is more powerful than the original powerplant." "I could have elected to have this work performed closer to home, but when it comes to the safety of my family, I chose Victor." "The latest black edition on the TS10 550C for the Piper Malibu is excellent. I routinely fly at flight levels of 240 or 250 and achieve a true air speed of 230-235 knots. I have currently over 250 hours on the engine and am thoroughly satisfied with the STC and enthusiastic with the service and enhanced performance provided by Victor Aviation." "N62488 is currently operated under FAR Part 135 and is what most consider the finest C-172 at Van Nuys Airport. This is attributable primarily to its low time and pristine condition and of course the eyebrow raising our Victor Engine decals evoke from pilots and aviation enthusiasts who understand what owning a well balanced, custom built aircraft engine means. The Victor Engine has become a major facet in our marketing effort. D&S Aviation, LLC demonstrates that an aircraft Powered by Victor delivers the promise of safe, reliable performance made possible by your continuing dedication to provide Old World craftsmanship and integrity, unavailable in current production aircraft engines. It has increased the hull value of our Skyhawk and given us a proud position on the airport as a single engine, Part 135 Day/Night VFR operator." I would like to point out that deciding to have our engine rebuilt by Victor was a decision that took months of research. But what impressed us most about Victor Aviation Services, Inc. was the professional build up process you used in your finished product. It incorporated the most sophisticated state-of-the-art equipment and methods I haven't seen anywhere. If that wasn't enough to make our final decision, everyone went out of their way to accommodate our never ending questions and concerns. Even today, we still call to check out airworthiness directives and service bulletins. We always receive kind, considerate and prompt attention." 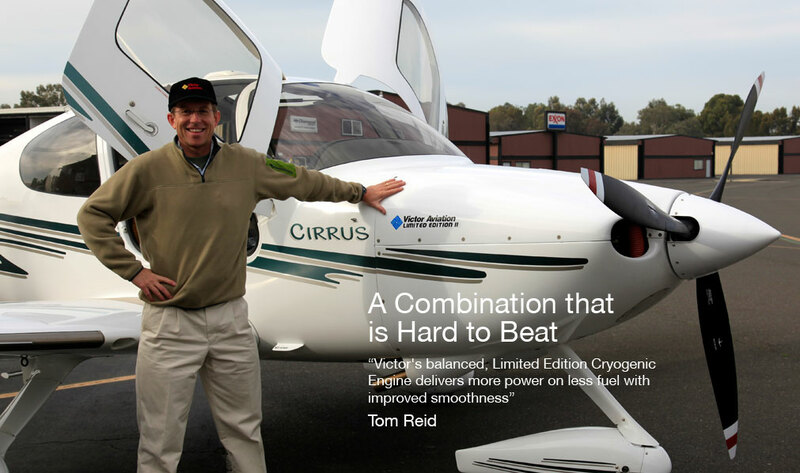 "Having Victor engines in the aircraft gives me a better sense of security knowing that I have a proven quality product backed by a company with an excellent reputation in the business." "Our engine operates much more quietly than ever before, with less vibrations. Pilot fatigue is noticeably less than previously. I can only say that whenever anyone sees our engine they are impressed and express interest and respect for our overhaul. We are most satisfied." "I thought I would take a moment to write and let you know that the two TIGO-541-E1A'S overhauled for me are performing exceptionally well. From a performance standpoint I appreciate how well they perform across all power settings and altitudes. The airplane is running at the top end of all performance specs at all altitudes and seems noticeably faster than it was when my Lycoming engines were installed. The precision your organization takes in building and balancing pays off. Everyone at my airport tells me you can hear the difference whenever my aircraft taxis, takes off, or departs. Keep up the great work!" "On Friday, I took part in running our "new" Victor engine after it was mounted to the airframe. The engine ran well and all indications were normal. But most importantly, the engine ran perfectly. It was so smooth, I thought I had a turbine engine up front. 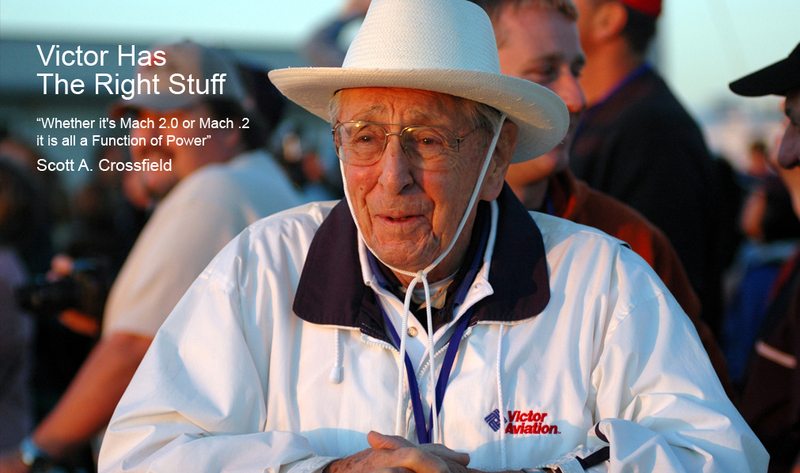 Hats off to you and your Victor team! Thank you for all your help and a job well done." "You recently overhauled and installed a Lycoming IO720-A1B in my Commanche 400. In ten months I have put over 200 hours on the engine, flown in two national air races and have the distinct honor of owning the documented fastest Commanche in the fleet. With an average speed of 255.31 mph I won 1st place in a 60 mile closed course race. My cruise speeds increased about 12 mph from the old Lycoming engine. I am president of the Commanche 400 club and vice president of the International Comanche Society. The center of attraction is always my Victor "Black Edition" engine. I tell them that my Victor engine is the heart of my magic. After flown in the airplane 1000 hours, then installing a Victor engine, it is hard to describe the feeling of raw power and smoothness the engine delivered. I am still happy over 200 hours later. I toured other shops before visiting Victor Aviation. Every person at Victor, mechanics, office personnel, engine builders and staff were very nice, courteous and answered every one of my 100 or so questions. The shop was clean, the engine rebuild room floors were cleaner than my kitchen table. They were a little higher in price than others, but quality costs more, and I am not disappointed at all. 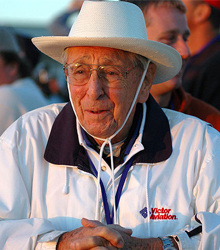 Thank you, Victor Sloan, for choosing aviation as your career. Quality like this is hard to come by." 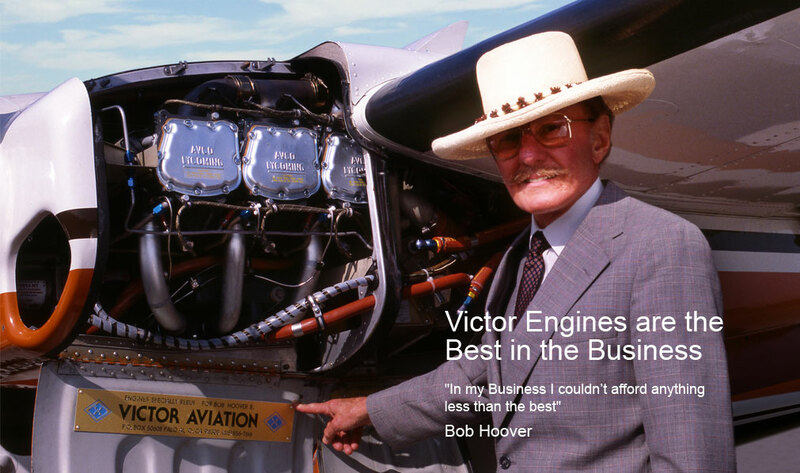 "I feel that having the Victor engine in the aircraft has helped to maintain the value of the aircraft and would be a real selling point should I sell the aircraft." "This "Power by Victor" engine has definitely increased the value of this aircraft. The owner of this aircraft has always been pleased with his "Power by Victor" overhauls and wouldn't have it any other way." "I think the value of my airplane has increased with the smoothness and quietness and, of course, the impressive looking black engine with the "Power by Victor" decals. RALPH E. MCELMURRY, D.D.S., M.S., P.A. "You know, every time a mechanic (certified or shade tree) takes a look under the hood < all we get are "gee whiz's" and sincere compliments. We are quite pleased and are quick to recommend that if somebody wants to "do their plane the right way" that they should take it to Victor." "There is no question in my mind that "Power by Victor" is regarded as increasing the performance, quality, reliability, safety and serviceability. 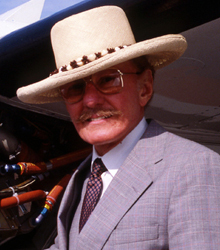 As such, it definitely increases the value of the aircraft and its consequent market price." "I certainly feel that when I do sell the airplane, the value will be higher and the airplane more saleable because of the "Victor" engine. 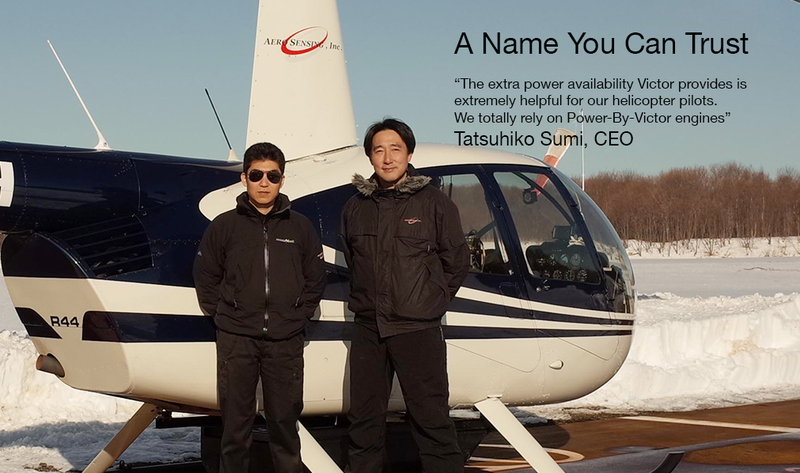 In my opinion, "Power by Victor" does improve value of the aircraft and gives me and any potential buyer a much higher confidence level in the engine."